Mayor Frank G. Jackson has advised both the Ohio House of Representatives and the Ohio Senate of his strong opposition to House Bill 180 and Senate Bill 152, which would prohibit Ohio cities from using geographic-based hiring preferences in the performance of local construction projects. The proposed legislation would prohibit the city’s ability to combat unemployment and poverty by requiring contractor use local residents in construction projects. In 2003, the City of Cleveland enacted a geographical-based hiring law to help alleviate unemployment and poverty by providing residents with opportunities on construction projects funded, in whole or in part, with city assistance. These opportunities ensure Cleveland residents participate in, and benefit from, economic development in the City of Cleveland. House Bill 180 and Senate Bill 152 would reverse the progress made in providing Cleveland residents the opportunity to benefit from construction projects in the city and signal that the State of Ohio government is opposed to initiatives in urban areas that help improve local economies and the overall well-being of residents. 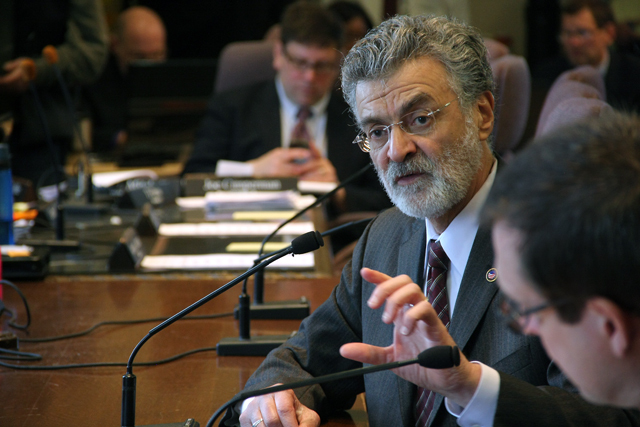 View Mayor Jackson’s letter to Ohio Senate President Keith Faber and Speaker of the House Clifford Rosenbeger. Cleveland City Council previously passed a resolution opposing House Bill 180 and Senate Bill 152.